This article on cleaning data is Part III in a series looking at data science and machine learning by walking through a Kaggle competition. If you have not done so already, it is recommended that you go back and read Part I and Part II. In this part we will focus on cleaning the data provided for the Airbnb Kaggle competition. Fixing up formats – Often when data is saved or translated from one format to another (for example in our case from CSV to Python), some data may not be translated correctly. We saw a good example of this in the last article in csv. The timestamp_first_active column contained numbers like 20090609231247 instead of timestamps in the expected format: 2009-06-09 23:12:47. A typical job when it comes to cleaning data is correcting these types of issues. Filling in missing values – As we also saw in Part II, it is quite common for some values to be missing from datasets. This typically means that a piece of information was simply not collected. There are several options for handling missing data that will be covered below. Correcting erroneous values – For some columns, there are values that can be identified as obviously incorrect. This may be a ‘gender’ column where someone has entered a number, or an ‘age’ column where someone has entered a value well over 100. These values either need to be corrected (if the correct value can be determined) or assumed to be missing. Standardizing categories – More of a subcategory of ‘correcting erroneous values’, this type of data cleansing is so common it is worth special mention. In many (all?) cases where data is collected from users directly – particularly using free text fields – spelling mistakes, language differences or other factors will result in a given answer being provided in multiple ways. For example, when collecting data on country of birth, if users are not provided with a standardized list of countries, the data will inevitably contain multiple spellings of the same country (e.g. USA, United States, U.S. and so on). One of the main cleaning tasks often involves standardizing these values to ensure that there is only one version of each value. The simplest solution available when faced with missing values is to not use the records with missing values when training your model. However, there are some issues to be aware of before you starting deleting masses of rows from your dataset. The first is that this approach only makes sense if the number of rows with missing data is relatively small compared to the dataset. If you are finding that you will be deleting more than around 10% of your dataset due to rows having missing values, you may need to reconsider. The second issue is that in order to delete the rows containing missing data, you have to be confident that the rows you are deleting do not contain information that is not contained in other rows. For example, in the current Airbnb dataset we have seen that many users have not provided their age. Can we assume that the people who chose not to provide their age are the same as the users who did? Or are they likely to represent a different type of user, perhaps an older and more privacy conscious user, and therefore a user that is likely to make different choices on which countries to visit? If the answer is the latter, we probably do not want to just delete the records. The second broad option for dealing with missing data is to fill the missing values with a value. But what value to use? This depends on a range of factors, including the type of data you are trying to fill. If the data is categorical (i.e. countries, device types, etc. ), it may make sense to simply create a new category that will represent ‘unknown’. Another option may be to fill the values with the most common value for that column (the mode). However, because these are broad methods for filling the missing values, this may oversimplify your data and/or make your final model less accurate. For numerical values (for example the age column) there are some other options. Given that in this case using the mode to fill values makes less sense, we could instead use the mean or median. We could even take an average based on some other criteria – for example filling the missing age values based on an average age for users that selected the same country_destination. For both types of data (categorical and numerical), we can also use far more complicated methods to impute the missing values. Effectively, we can use a similar methodology that we are planning to use to predict the country_destination to predict the values in any of the other columns, based on the columns that do have data. And just like with modeling in general, there are an almost endless number of ways this can be done, which won’t be detailed here. For more information on this topic, the orange Python library provides some excellent documentation. With that general overview out of the way, let’s start cleaning the Airbnb data. In relation to the datasets provided for the Airbnb Kaggle competition, we will focus our cleaning efforts on two files – train_users_2.csv and test_users.csv and leave aside sessions.csv. The first step is to load the data from the CSV files using Python. To do this we will use the Pandas library and load the data from two files train_users_2.csv and test_users.csv. After loading, we will combine them into one dataset so that any cleaning (and later any other changes) will be done to all the data at once. Once the data has been loaded and combined, the first cleaning step we will undertake is fixing the format of the dates – as we saw in Part II, at least one of the date columns looks like it is formatted as one long number. You may be wondering why this is necessary – after all, can’t we all see what the dates are supposed to represent when we look at the data? The reason we need to convert the values in the date columns is that, if we want to do anything with those dates (e.g. subtract one date from another, extract the month of the year from each date etc. ), it will be far easier if Python recognizes the values as dates. This will become much clearer next week when we start adding various new features to the training data based on this date information. Luckily, fixing date formats is relatively easy. Pandas has a simple function, to_datetime, that will allow us to input a column and get the correctly formatted dates as a result. When using this function we also provide a parameter called ‘format’ that is like a regular expression for dates. In simpler terms, we are providing the function with a generalized form of the date so that it can interpret the data in the column. For example, for the date_account_created column we are telling the function to expect a four-digit year (%Y) followed by a ‘-’, then a two-digit month (%m), then ‘-’, then a two-digit day (%d) – altogether the expression would be ‘%Y-%m-%d’ (for the full list of directives that can be used, see here). For the timestamp_first_active column, the date format provided is different so we adjust our expression accordingly. Those following along and/or paying attention may have noticed that in the original dataset, there are three date fields, but we have only covered two above. The remaining date field, date_first_booking, we are going to drop (remove) from the training data altogether. The reason is that this field is only populated for users who have made a booking. For the data in training_users_2.csv, all the users that have a first booking country have a value in the date_first_booking column and for those that have not made a booking (country_destination = NDF) the value is missing. However, for the data in test_users.csv, the date_first_booking column is empty for all the records. As identified in Part II, there are several age values that are clearly incorrect (unreasonably high or too low). In this step, we replace these incorrect values with ‘NaN’, which literally stands for Not a Number, but implies we do not know the age value. In other words we are changing the incorrect values into missing values. To do this, we create a simple function that intakes a dataframe (table), a column name, a maximum acceptable value (90) and a minimum acceptable value (15). This function will then replace the values in the specified column that are outside the acceptable range with NaN. Again from Part II we know there were also a significant number of users who did not provide their age at all – so they also show up as NaN in the dataset. After we have converted the incorrect age values to NaN, we then change all the NaN values to -1. Clarity – this series of articles is going to be long enough without adding the complication of a complex methodology for imputing missing ages. Questionable results – in my testing during the actual competition, I did test several more complex imputation methodologies. However, none of the methods I tested actually produced a better end result than the methodology outlined above. From more detailed analysis of the data, you may have also realized there is one more column that has missing values – the first_affiliate_tracked column. In the same way we have been filling in the missing values in other columns, we now fill in the values in this column. Those more experienced with working with data may be thinking that we have not done all that much cleaning with this data – and you would be right. One of the nice things about Kaggle competitions is that the data provided does not require all that much cleaning as that is not what the providers of the data want participants to focus on. Many of the problems that would be found in real world data (as covered earlier) do not exist in this dataset, saving us significant time. 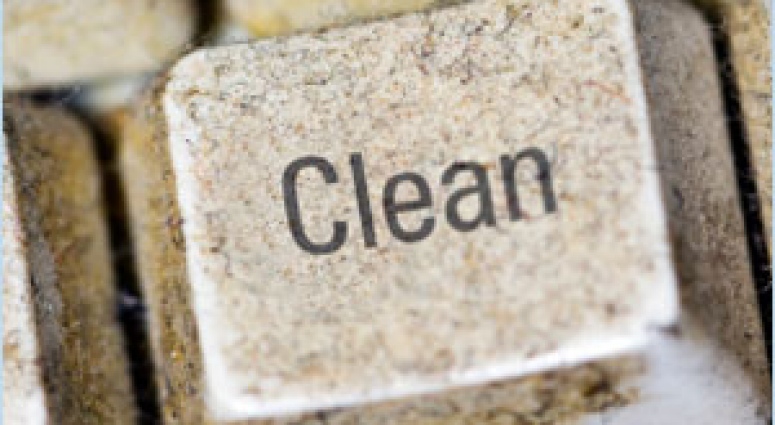 However, what this relatively easy cleaning process also tells us is that even when datasets are provided with the intention of needing no or minimal cleaning, there is always something that needs to be done. In the next piece, we will focus on transforming the data and feature extraction, allowing us to create a training dataset that will hopefully allow the model to make better predictions. To make sure you don’t miss out, use the subscription feature below. For those with more data mining experience you may realize that combining the test and training data at this stage is not best practice. The best practice would be to avoid using the test dataset in any of the data preprocessing or model tuning/validation steps to avoid over fitting. However, in the context of this competition, because we are only trying to create the model to classify one unchanging dataset, simply maximizing the accuracy of the model for that dataset is the primary concern.